A phylum is the next category beneath kingdom. 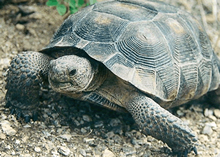 Most biology textbooks are organized by phyla with chapters covering topics such as “reptiles” or “mammals”. This collection includes various worksheets related to animal groups. Ameba Coloring – color the structures of an ameba; pseudopodia, vacuole, nucleus..
Paramecium Coloring – color paramecium, vacuole, mouth pore, macronucleus, cilia.. Designer Dogs – activity sheet on hybrids, mutts and designer dogs. **Dissection Worksheets are available for frogs, rats, bullfrogs and other chordates. *Videos for all major animal groups can be found at National Geographic Videos, a great resource for showing clips of animals you are discussing in class.